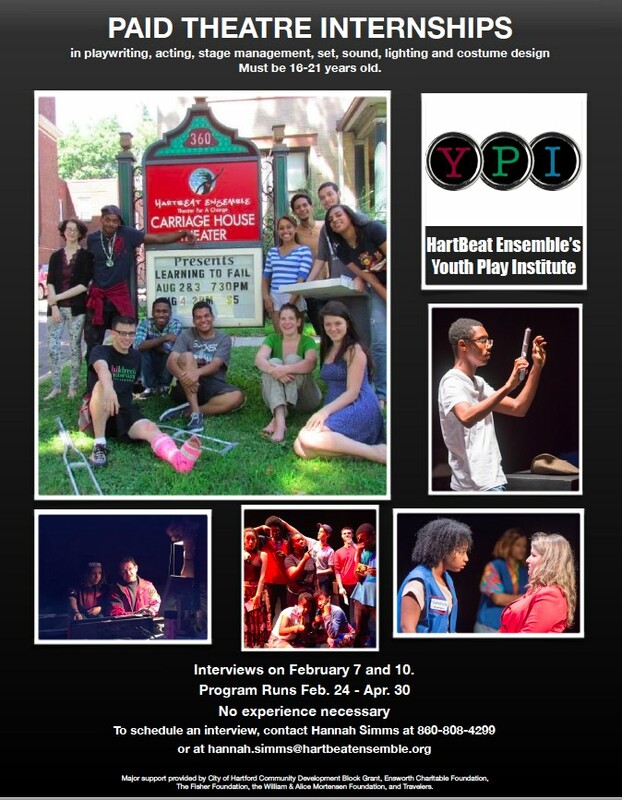 HartBeat Ensemble‘s YPI, our paid theater internship for 16-21-year-olds.This program is in its 11th year, and has served more than 500 young people from Greater Hartford. In this program, a group of youth co-creates an original play about a social justice issue over an 8-week period.Internships are available for stage managers, actors, and designers. This is a great program for young performers, activists, visual artists, collaborators and writers. Many different personality types and levels of experience excel at YPI. Interviews will take place February 7th and 10th.